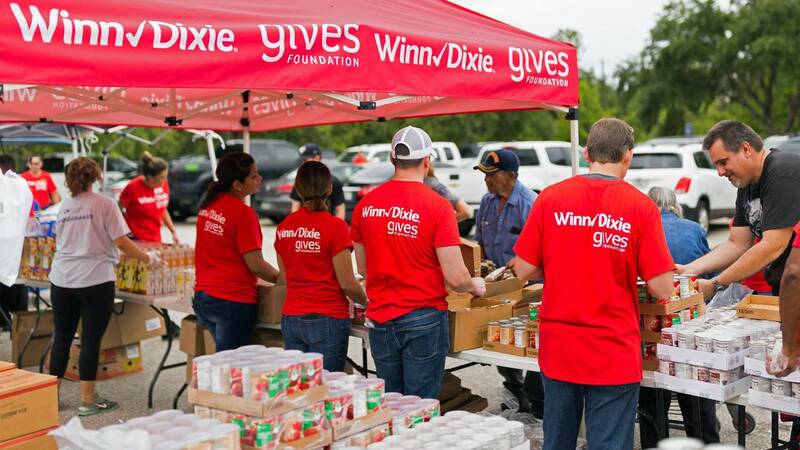 JACKSONVILLE, Fla. - Winn-Dixie and Harveys stories, along with their customers and parent company, Southeastern Grocers, raised nearly $218,000 through an in-store Hunger Relief Program during a two-week campaign this summer. Customers were invited to help in the fight hunger in their communities by donating during checkout. The Hunger Relief Program also allowed Southeastern Grocers associates the opportunity to positively impact their local communities by volunteering with partner food banks at mobile pantries throughout the Southeast. “We want to recognize and thank our generous customers and associates for their contributions to this important cause through our Feeding America partner food banks,” said Anthony Hucker, president and CEO of Southeastern Grocers. In partnership with 25 Feeding America® local food banks, the grocer also provided more than $150,000 in fresh produce and nonperishable products to food insecure communities in which it serves.